Thanks MTS for making this a picked upload! 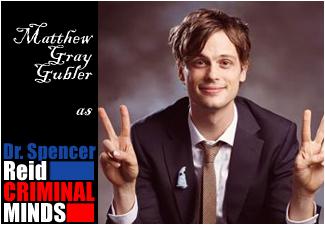 If Mr Gubler sees this, he'll be glad to be a star here too! I made a sim after someone incredibly special. It's a crime show thriller about a team of FBI agents hunting scumbags. 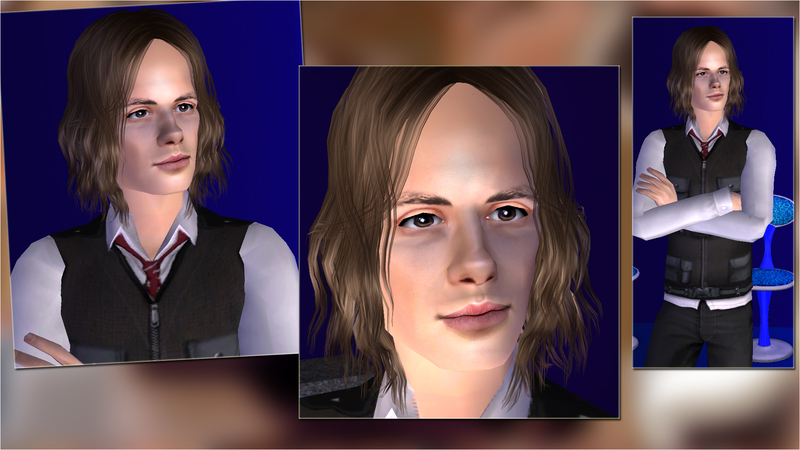 I play a weird FBI genius/hypocondriac named Dr. Reid. They cut my hair so I look like Crispin Glover in Back to the Future - it's awesome! 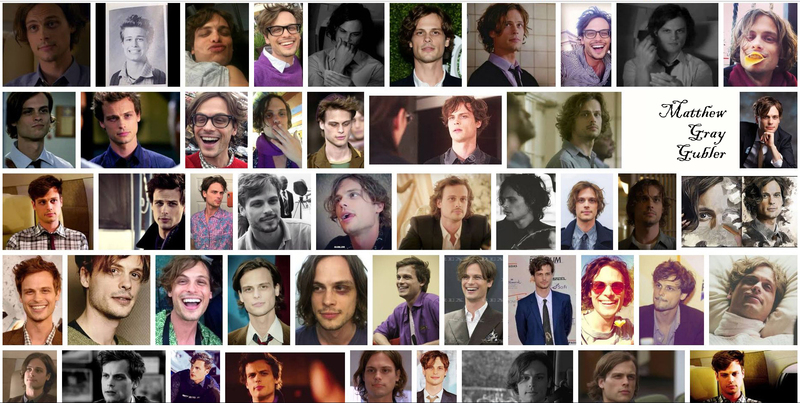 Will I start a Gubler-mania? I think it has started a while ago. He looks so fine, and he is so quirky and adorable, he makes an excellent addition to all your neighborhoods. 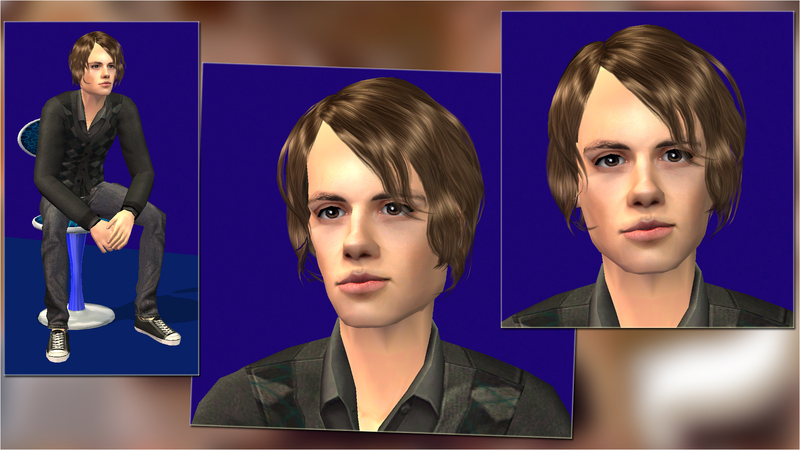 No need to mentally date him anymore, you may now date his sim! or be friends. Or whatever. I bring him to you, I am not responsible for your bad choices. 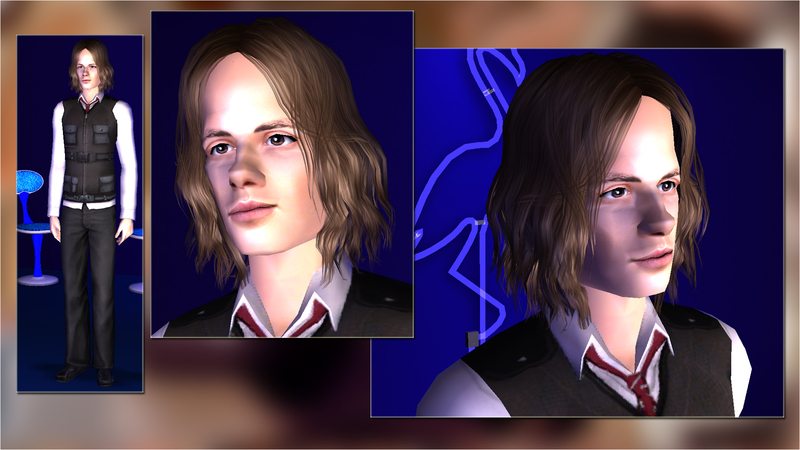 I decided to go without the stubble for a younger version of him, but if you prefer him with some stubble, you can use my No Valentine Sheer stubble in light brown, or any other you prefer. If you would prefer him with a different hairstyle, outfit, whatever, it's a free world, knock yourself out. You get two different versions, one with casual clothing and shortish hair, and one with FBI kevlars and longish hair. Pick your favourite. Of course you can also see a few other characters from the show, they are all fantastic! 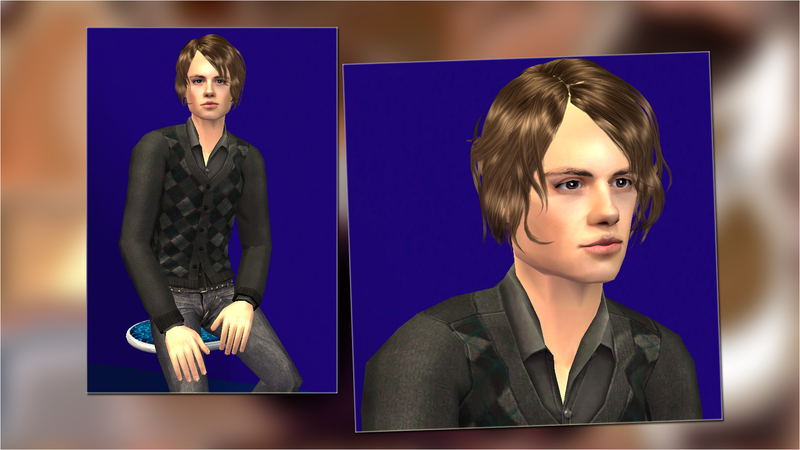 Spencer Reid has been made before. 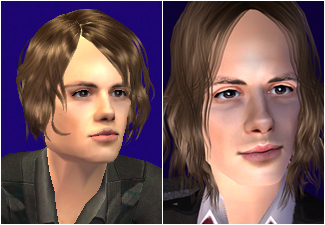 Their Reid looks like the latest seasons' Reid while mine looks younger. I suggest you try both and decide which you prefer. 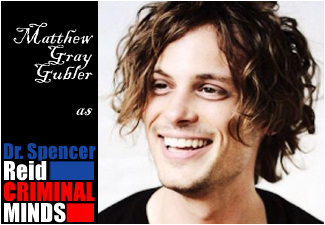 Good news for Criminal Minds fans! If you visit herculean's post, you will get 4 Criminal Minds characters that I will not make : JJ, Prentiss, Morgan and Hotch. Better news! There's more to the cast - David Rossi (Joe Mantegna), and I have made his sim! After Rossi, I might make one more - watch the short videos above for a clue of who it might be. Stay tuned. FOR BOTH VERSIONS - Everything is included! 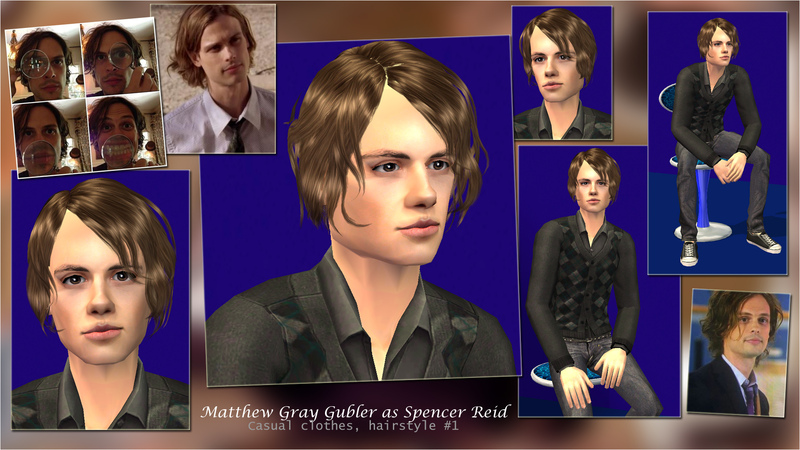 SPENCER REID (Shorter hair) - Everything is included! 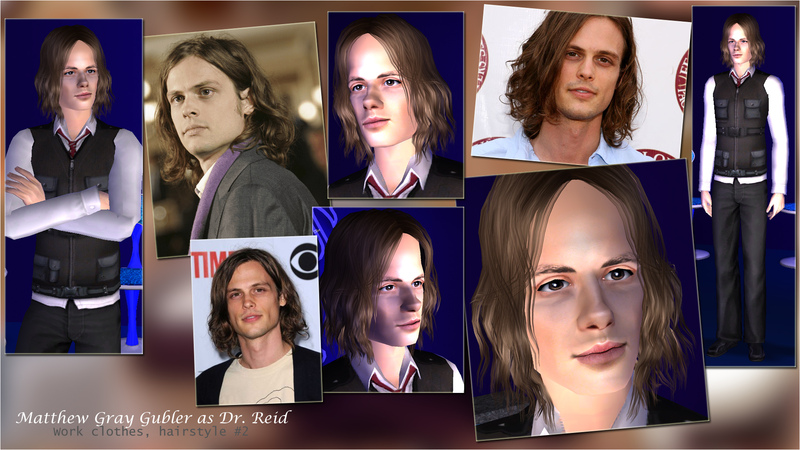 DR. REID (Longer hair) - Everything is included! ** fanseelamb's version of Dr. Reid's FBI outfit comes with a yellow FBI logo on the front and the back of the outfit. I removed these logos - I prefer the outfit without - and my version looks like the logo was never there. If you would prefer the outfit WITH the FBI logo, delete mine (5fb13ac3_kevlar.package) and redownload fanseelamb's original from here, you need the one with the exact same file name. If you don't delete mine and download fansee's, both versions will cancel each other and only mine will show in-game (because it is the latest version). A big thank you to pannisim, Liz, Peni Griffin, HugeLunatic, maxon, Kunder, Zena-Dew-Drop, d4RE and k.ahearn11 for their help on the Creators Feedback forum. You are all awesome. The teamwork with you people is the how and the why. Gary Sinise - Mac Taylor, Lt. Dan, and more - 5 versions!